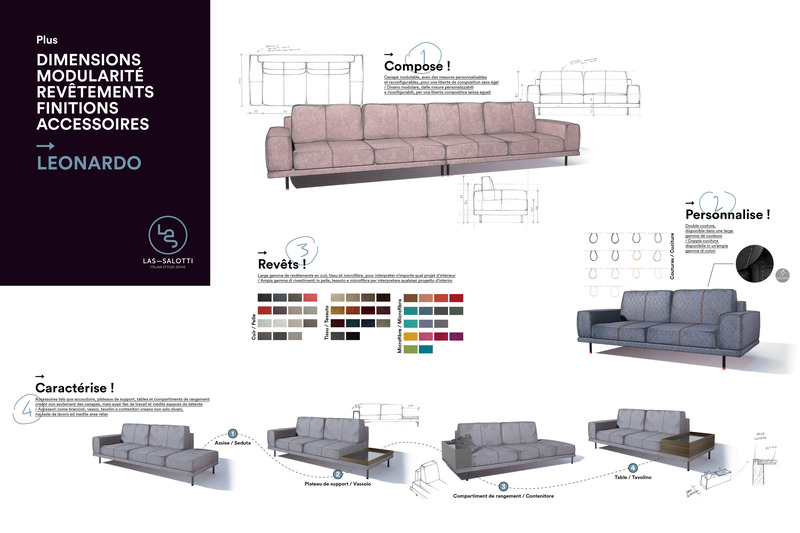 This new model with Italian design is not just a sofa, but a real furnishing program. It is modular, versatile, fresh and elegant, and it is the first step towards a more contemporary and young way. Its design is the result of a synergy between the experience of LAS and the Italian designer Lorella Agnoletto, who collaborates with important Made in Italy companies. I wanted to create a modular system, extremely current, which allows various possibilities of composition and customization. We wanted to put the customer at the center, making him a designer of his furniture project, of his comfort. At the end of September, a new adventure will begin for LAS Salotti. A small experiment developed together with IDP Design & Communications, a partner with whom we are working this year to realize many new projects. We decided to test ourselves in a somewhat unusual way and take a trip that will take us all over France. Our agent, Beniamino, will leave for the French regions driving our four-wheel showroom. The target? To make the quality of LAS Salotti sofas known even beyond the border. To achieve this, we decided to adopt an original and direct strategy that would allow potential customers to experience our products. We have set up a traveling showroom containing some of our top models. Newport: a classic among our leather collections sofas; Harvey: a modern interpretation of one of our historical model, Anna; and then our brand new Leonardo: a jewel of Made in Italy design, modular, versatile, fresh and elegant, a novelty of which we are very proud. The tour will start from Italy on September 24th and will last seven weeks. Every week will see Beniamino operating in a different area. First stop: Alsace and Lorraine. Afterwards will come Paris and Brittany, the Atlantic coast, The Rhône-Alpes region, and then conclude with the South of France territories. It will be an autumn of meetings, surprises and news. We will keep you updated on our social network: follow us step by step in our on the road trip! LAS Salotti will be present at the Mechelen Furniture Fair with a new look. In these months, with IDP Design & Communication, we are working on our rebranding. We have changed the logo and we are working on our website and its corporate image. There are many things to do but we’re looking forward to show them all. We are waiting for you on stand C3. LAS Salotti produces handcrafted padded sofas, which guarantee maximum comfort and a vast selection of customisable elements. 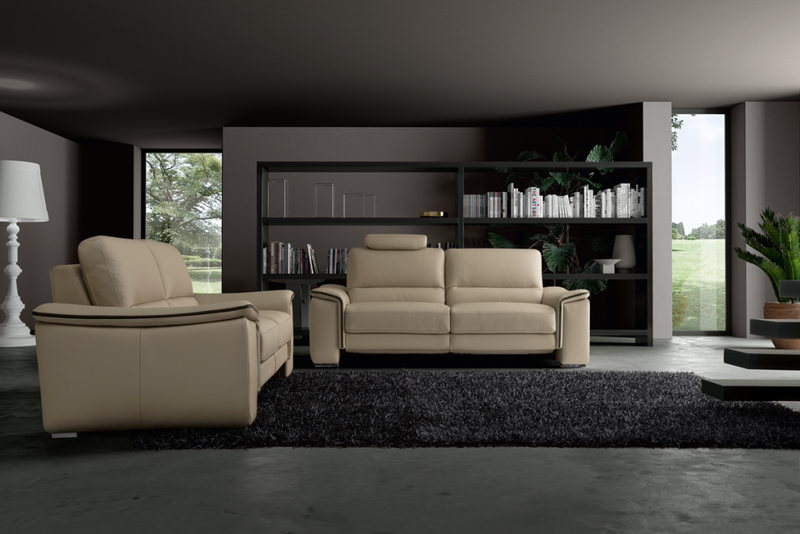 Every LAS sofa is representative of the perfect fusion between aesthetics and made in Italy quality.